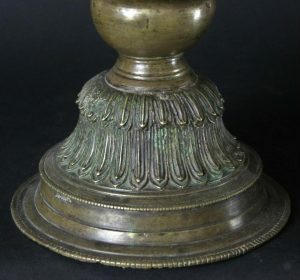 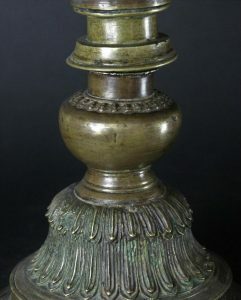 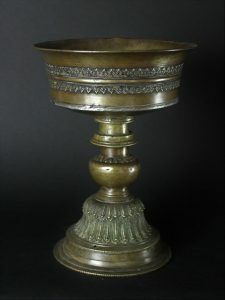 Original Bronze Tibet butterlamp. 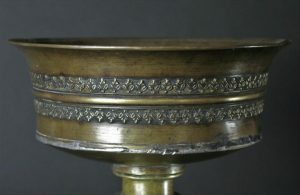 19th restaured with lead solder. 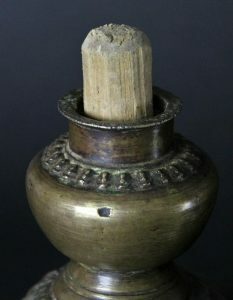 The top is loose from the bottom and hold by a wooden stick (not stable). 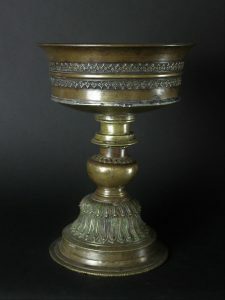 For the rest beautifully decorated.